Most migrants are lead to believe they will walk from Mexico into the U.S. in a few hours. Instead, they travel for days through inhospitable terrain and dramatic temperatures changes with inadequate supplies and uncertain prospects. 'We are friends. We want to help you. 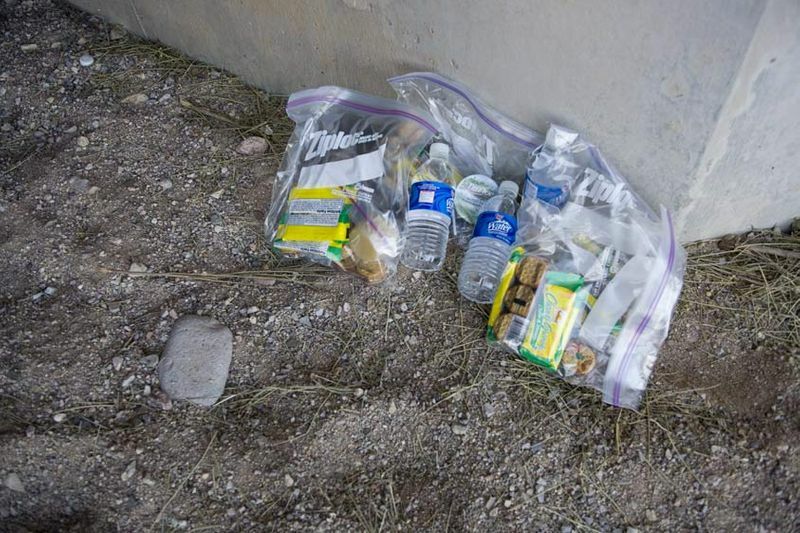 'Voluteers from Los Samaritanos, a search team comprised of retirees, call out to migrants coming through the desert to offer food and medical help. 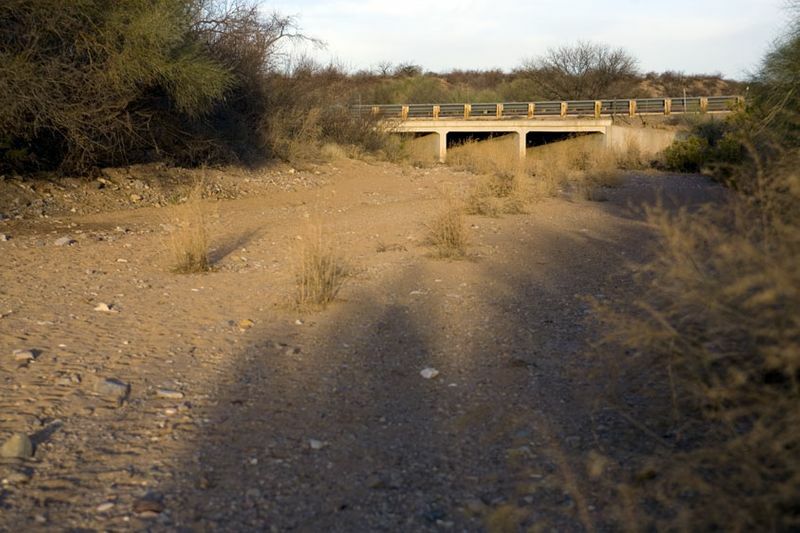 Migrants often follow riverbeds through the desert flatlands and take shelter from the glaring sun and Border Patrol under freeway overpasses. 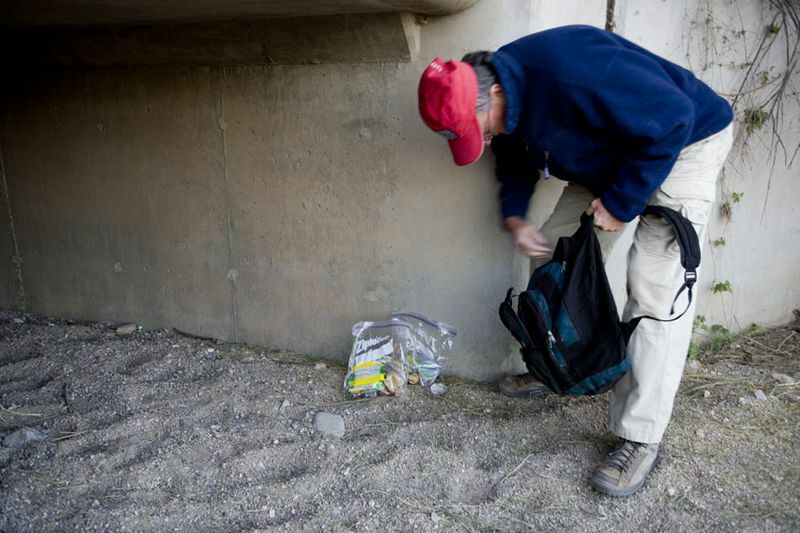 A volunteer from Los Samaritanos leaves a supply package for migrants who might take shelter under the highway. 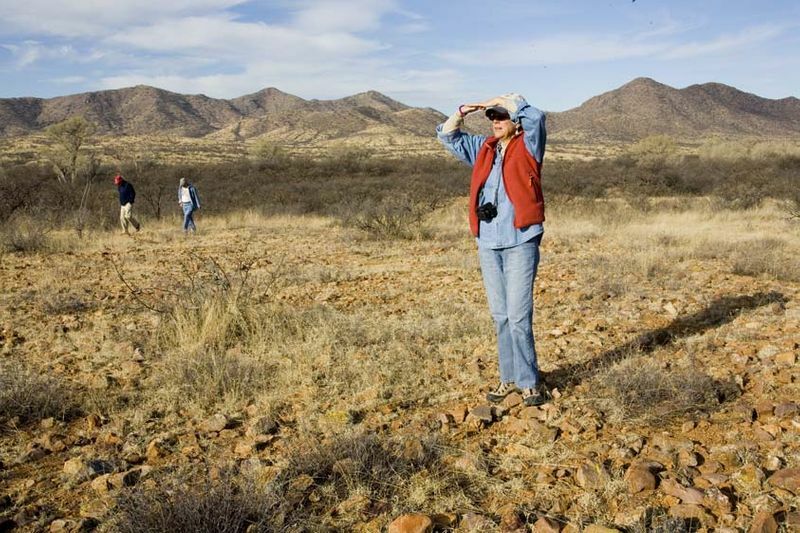 Members of Los Samaritanos search the desert every day to try to aid migrants. Supply bags with food and water are created by members of a retirement community who are unable to leave their homes, but want to help the migrants. They are left for migrants in places where their traces have previously been spotted. 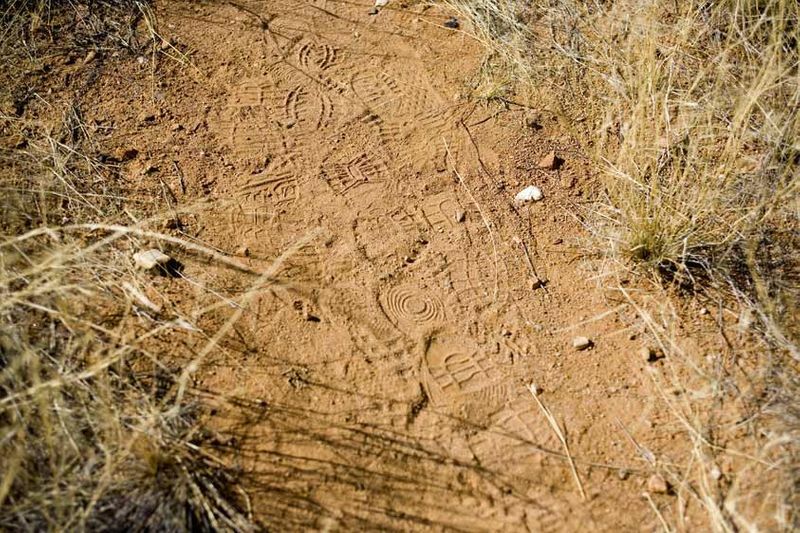 Footprints indicate where migrants have passed. The Samaritans leave supply packs at such places. The shelter of trees alongside a well worn path is a stopping point for migrants. Most travel is done at night, out of the glaring sun. Desert temperatures are often freezing at night, in stark contrast to the heat of the day. Migrants cross private property en route to a better life. Some property owners complain about litter left behind, others are sympathetic to the migrant plight. As they near 'civilization,' migrants abandon their few belongings and change into a fresh set of clothes to distract attention from their journey. A discarded water jug by the road was likely left by a migrant in hiding, waiting for a pick up after the long desert journey. 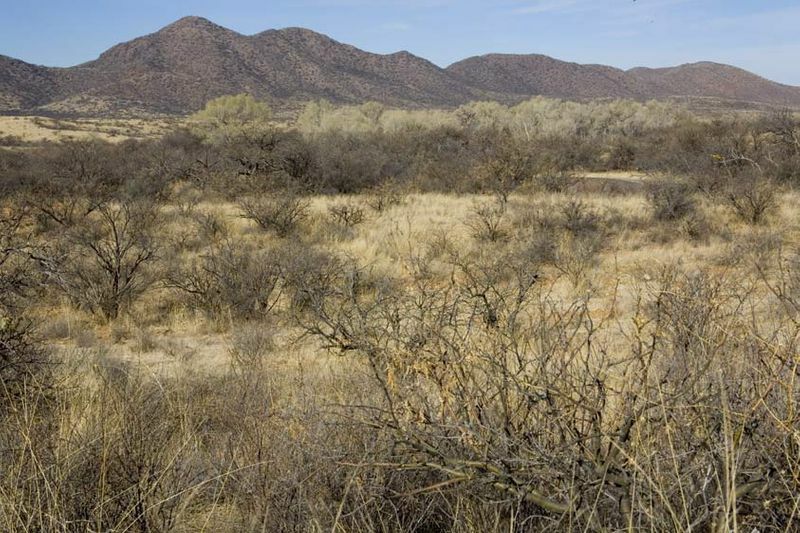 An early morning tire track at the side of the road is likely from a vehicle picking up migrants in the vast Arizona desert.